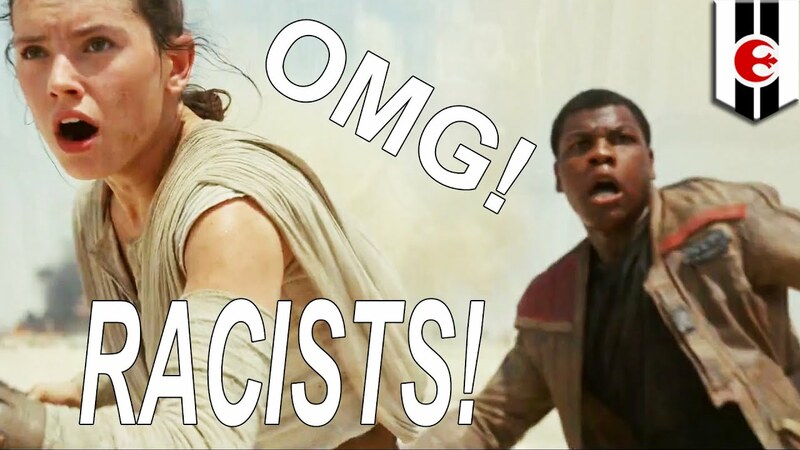 Racist ‘Star Wars’ Fans Call for ‘Force Awakens’ Boycott, Fail Miserably. ‘Star Wars VII’ did break the internet, just not quite in the way the trolls imagined. ‘Star Wars: Force Awakens’ Tops ‘Avatar’ to Become No. 1 Film of All Time in North America not accounting for inflation. Force Awakens grossed $6.2 million for the day for a domestic total of $764.4 million — achieved the milestone in only 20 days in release, which is a record winning feat. Even with Racists starting a movement to boycott Star Wars, due to the fact that the lead actor was black, the Disney movie grossed as one of the most highest grossing movies of all time. That says a lot! Thanks to Force Awakens, domestic revenue for 2015 hit a record $11 billion at the last minute. The movie has broken numerous records, including biggest domestic opening ($247.9 million), biggest global debut ($529 million), fastest film to reach $100 million (24 hours), $200 million (three days), $300 million (five days), $400 million (eight days), $500 million (10 days), $600 million (12 days), and $700 (16 days). Only two films have earned $700 million or more in North America: Avatar and Force Awakens. Boycotting these movies are working out so well for Disney, it’s a wonder they don’t start up African American Disney. What is so spectacular about these results are the fact that the main star of the movie was black. The other highest grossing Star Wars movie hit the highest grossing spot as number 21. In a day and age where black people are thought of as not talented enough to get nominated for Oscar Awards and during times when racists complain about a black person starring in a projected blockbuster movie and even threaten to boycott the movie, it just goes to show that the world is not as racist and that black people can sell movie tickets too. Perhaps this is only testimony that racism is dying down and perhaps even vanishing. Too bad these findings don’t get that much press in the brainwashing media, that feeds off of hate. It’s as if the mainstream media doesn’t want everyone to know that there is an awakening, and it’s for real! The racist individuals who select Oscar nominees might not value black media in entertainment, but the rest of the world sure does. So you have an iconic movie in which the main star the movie seemed to center around was black, do better than all previous versions of the movie. It’s definitely a sign of progress and a sign that people are in fact, truly awakening. Though some may argue that Disney has some racial undertones in the movie, it is progressive. Finn was a janitor who was held captive to work as a storm trooper (as a janitor). He wasn’t given a name, but just a number. However, he took a name that a white friend whom he saved, suggested to him. Throughout the movie he learns about being a hero. You don’t really see him get to be the Luke Sky Walker superhero that you hoped he would be, but you do understand him and I am sure that many people also relate to him, black and white. I try to not to delve too much into the subliminal messages, but I can say that I am happy to see a film that casts a black person as the main star, become one of the best selling movies of all time. You have to remember that Avatar’s heroin was a guy in a wheel chair who was constantly being referred to as stupid in the beginning of the movie. He had to prove himself. In fact, there was also a similar scenario in The Titanic. 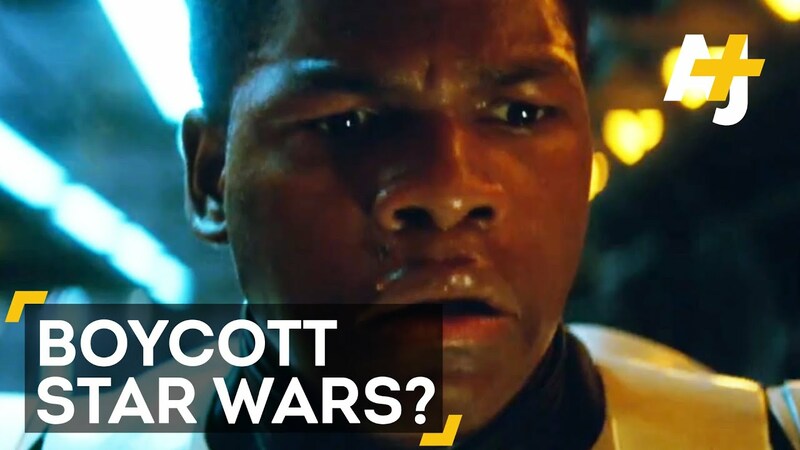 Some white people were disappointed with new Star Wars movie and tried to have their own movement of boycotting the movie. That could be the only reason why Star Wars was not the number one grossing movie of all time. Perhaps one day, skin color won’t matter as much. It’s sad and perhaps a bit odd that if you cast a black star in a Disney movie, then you are contributing to white genocide? It should bot be astounding that most of the racists who boycotted Star Wars just happened to be Trump supporters.